In the course of our lives, we struggle to establish careers and relationships that we hope will infuse us with a sense of purpose. While important titles, wealth, power, and possessions may represent a life that is successful in the eyes of others, pursuit of these achievements prompts us to seek more of the same again and again. However, it is only through a fundamental understanding of faith in God that we can discover His purpose for each of us in life, and can in turn pursue a meaningful existence and achieve lasting happiness. In his authentic and profound book The Spirit of Happiness, Dr. T. Byram Karasu explores the psychological barriers that prevent so many of us from allowing faith to become an integral part of our lives and from becoming truly serene and fulfilled human beings. We all experience many difficulties and conflicts in our daily lives, meeting challenges at work and in relationships, suffering through illness, losses, and failures, feeling anxious, depressed, or simply empty and purposeless. If we view such ordeals through the wisdom of the Holy Bible, which Dr. Karasu presents to us here as the ultimate self-help book, we can learn to understand and identify with God's Holy Purpose. Psycho-spiritual exercises, including meditations and affirmations based on God's word, are placed at the end of each chapter to help focus the reader's spiritual intention and lead the way to a more joyful and rewarding existence. Beautifully written and deeply moving, The Spirit of Happiness begins where most self-help books end. "I recommend this new book to the ordinary reader for personal guidance and inspiration, and to the professional trying to find his or her way through the dense woods of spiritual writing." "Dr. Karasu has done it again! His new book, The Spirit of Happiness, should be read by everyone who wants to improve their life. A must read!" "A masterful work! 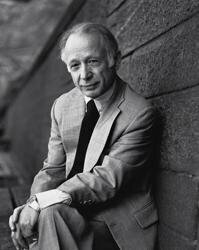 In The Spirit of Happiness, Dr. Karasu continues his reflective journey toward the spiritual enlightenment he so eloquently began in his previous book, The Art of Serenity. This companion volume is an even more courageous foray into the realm of the most fundamental and complex issues we all face: how are we to find meaning and purpose in life, and what does it take to make life joyful? The Spirit of Happiness is a profoundly original book, executed with remarkable wit and skill. It is an outstanding contribution to the field of spirituality and an invaluable guide for the seeker in all of us." 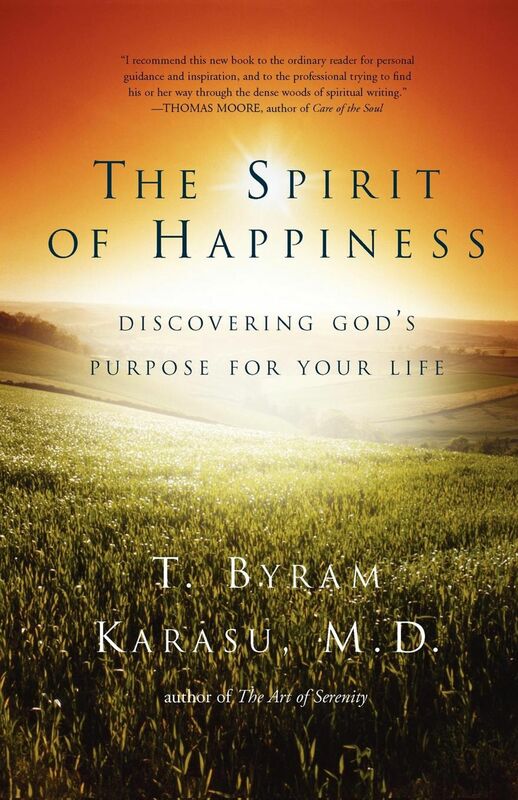 "Like his earlier books, The Spirit of Happiness reveals Dr. T. Byram Karasu's experience, wisdom, and vision. Spiritual writing is a genre full of extravagance, usually having more gush than intelligence. Dr. Karasu is a remarkable exception. I always look forward to a new book from him. This new book offers a spiritual take on the arc of a life. It begins with the understanding that nothing we do in our ordinary lives can be successful if we are not in tune with the larger movement of life or the holy purpose. I recommend this new book to the ordinary reader for personal guidance and inspiration, and to the professional trying to find his or her way through the dense woods of spiritual writing."